Obviously, oysters, wings or freaking bloomin' onions are hard acts to follow. But now there's scientific evidence an amazing appetizer will actually spoil your entree. Really. A new study by Drexel University's Center for Hospitality and Sport Management found if you start off with an amazing appetizer, you're actually less likely to enjoy your entree, and likewise, if you have a "mediocre" appetizer, you're more likely to enjoy your entree, according to a report by science news site EurekAlert! Lesson: set low expectations, then surpass them. That's just a life lesson, really. 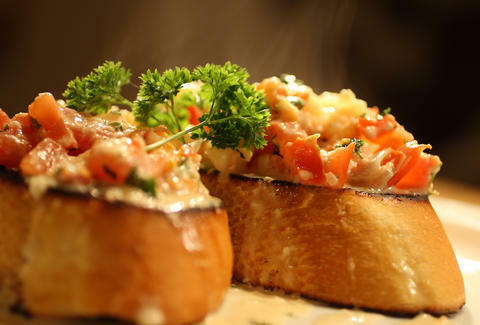 Participants in the study were treated to either a mediocre bruschetta appetizer or a bruschetta appetizer with better ingredients, followed up by a main dish of pasta with garlic and oil as the control. Unsurprisingly, the better bruschetta was rated better. But participants also seemed to enjoy the pasta more if they started with the mediocre appetizer than those who ate the better appetizer, according to the report. While you obviously shouldn't abandon crushing boneless wings or mozzarella sticks before tackling the main course, the study suggests thinking about food in context. But good luck with that in fits of hanger. There is a solution to this, of course: endless appetizers. And nothing but endless appetizers. That way, you'll never have to worry about spoiling your entree. Tony Merevick is Cities News Editor at Thrillist and will never give up on buffalo wings and oysters appetizers. Send news tips to news@thrillist.com and follow him on Twitter @tonymerevick.